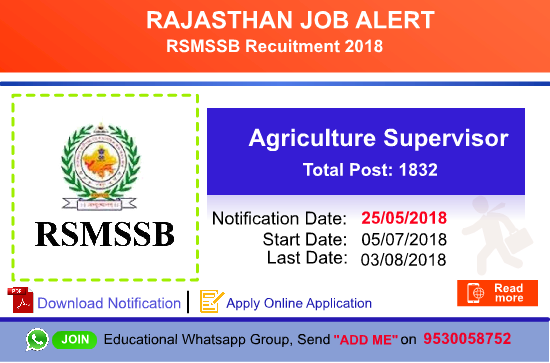 RSMSSB Rajasthan Subordinate and Ministerial Services Selection Board, Jaipur has invites Application Recruitment offer for Agriculture Supervisor Direct Recruitment .RSMSSB organization announce this vacancy. Interested or eligible candidate can apply to this recruitment. this vacancy for 1832 Post, if you want to apply this vacancy then before 03 June 2018 apply. We are Provide here Agriculture Supervisor Direct Recruitment recruitment krashi Supervisor or krushi pryveshk bhari Details; Notification download link, Agriculture Supervisor Online apply link and other details age limit, pay scale, Agriculture Supervisor fees details, how to apply, etc. Payment Mode will be Online through Debit Card / Credit Cared . Net Banking or Offline E- Callahan. 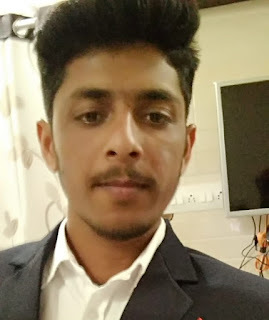 Candidate Should Be Qualified Bsc ( Agriculture) or Bsc (कृषि उद्यान) Honors Pass From Any Indian University or 10+2 Pass according to Related Agriculcher from Any Secondary School. For More Details please download official Notification. 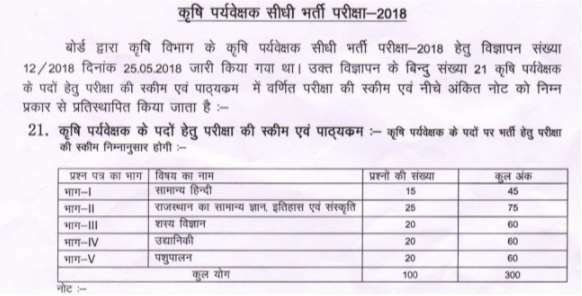 as on 1/January/2019 ( Upper age limit is relaxable by 5 year for SC/ST candidate & 3 Year for Obc Candidate and 10 year for Differently abled persons will be eligible for grant of cumulative age relaxation under both the category. First you need to go on official website https://sso.rajasthan.gov.in/signin (given blow important link section). Log in or Register for New Candidate.